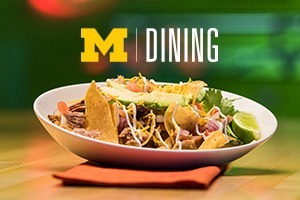 Sustainable living is an important part of the culture at U-M. Recycling, carrying refillable water bottles, reducing water use and saving energy are a few of the ways that you can make a difference every day. 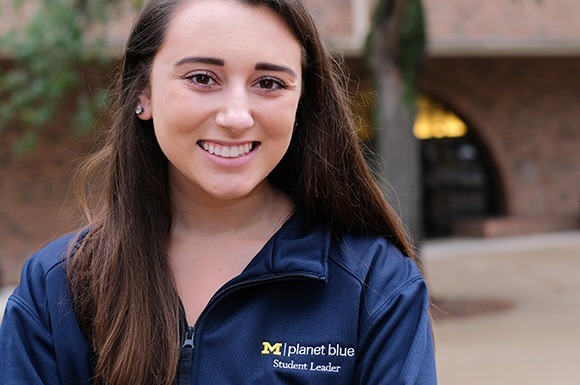 To learn more about sustainability on campus, visit our page on Planet Blue, U-M’s global sustainability initiative. We have single stream recycling in all of our buildings. Just look for the blue bin in your room. We also participate in the campus-wide Recycling Champions Building Competition every year. 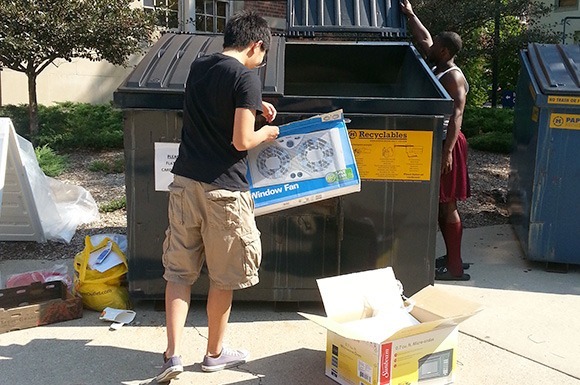 And, at move-in and move-out, our staff partners with students to recycle moving boxes, plastics and usable items. 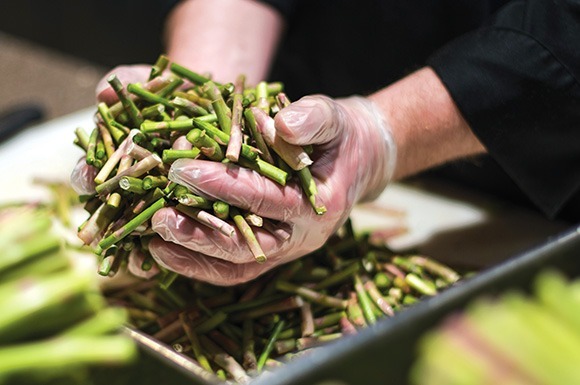 In response to student interest, we’ve implemented composting in five of our residence halls – Bursley, East Quad, South Quad, Oxford and Munger. Food scraps collected from students in these residence halls go to WeCare Organics to be turned in to nutrient-rich compost. 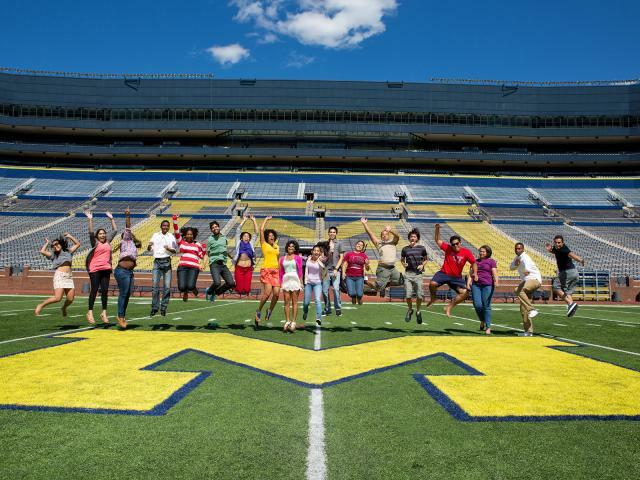 Every year about 30 residents become Planet Blue Student Leaders to advance sustainability education in our residential communities. These students are trained and educated in one-credit seminars in fall and winter terms, and partner with us to bring new sustainability initiatives to campus. Our facilities team has phased out many chemical cleaners and replaced them with liquid ozone. Liquid ozone cleaning uses the basic behavior of oxygen molecules to break up dirt and bacteria. It’s better for the environment and more effective than using chemicals. The Sustainable Living Experience (SLE) at Oxford is a theme community dedicated to sustainability and environmental justice. This community gives students an opportunity to connect with others who are interested in sustainable living and to bring new ideas in sustainability to Housing. For more information about sustainability efforts, visit the Student Life section of the Planet Blue website.